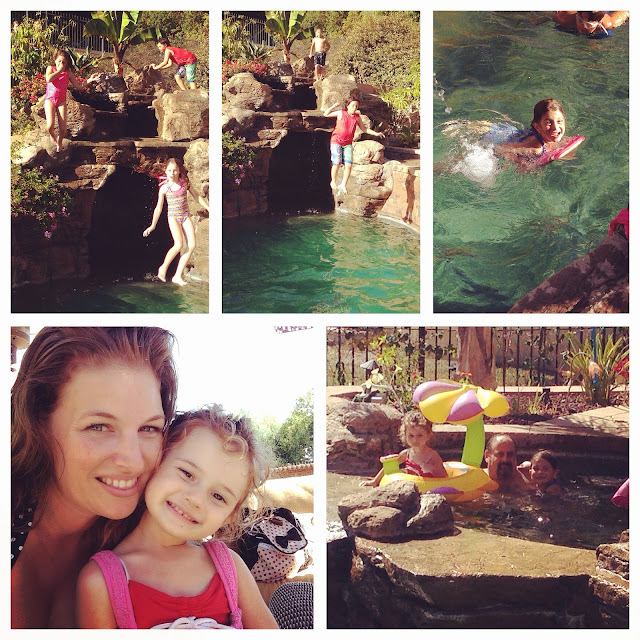 Labor Day and this weekend was spent with our family and friends. Finding reasons to celebrate life is easy when you are blessed to have so many loved ones in your life. We had three fun filled gatherings, church, a card making class and whew, am I tuckered. Here is a snippet of the fun we had, I couldn't resist sharing with you. I hope you had a good one (leave me a comment and let me know what you did!). 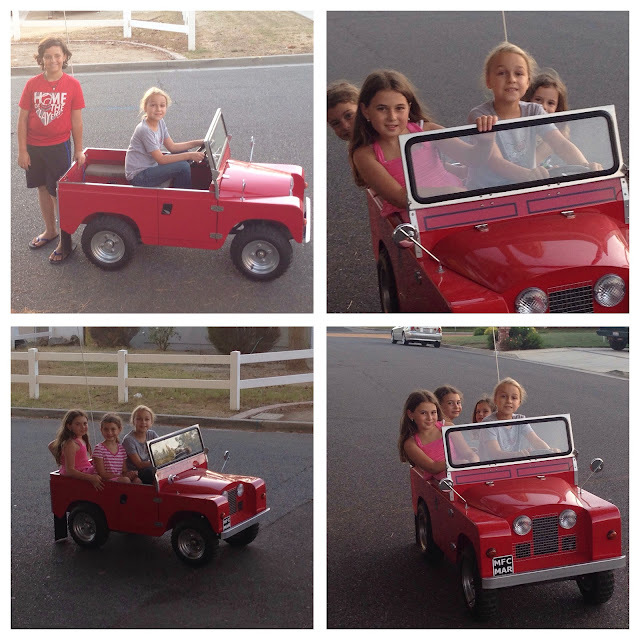 Here some of our kiddos drive about with their friends... it's great having neighbors who you can grow up, laugh and drive around with (they are 4-10 yrs old - one cool dad made this car!!). 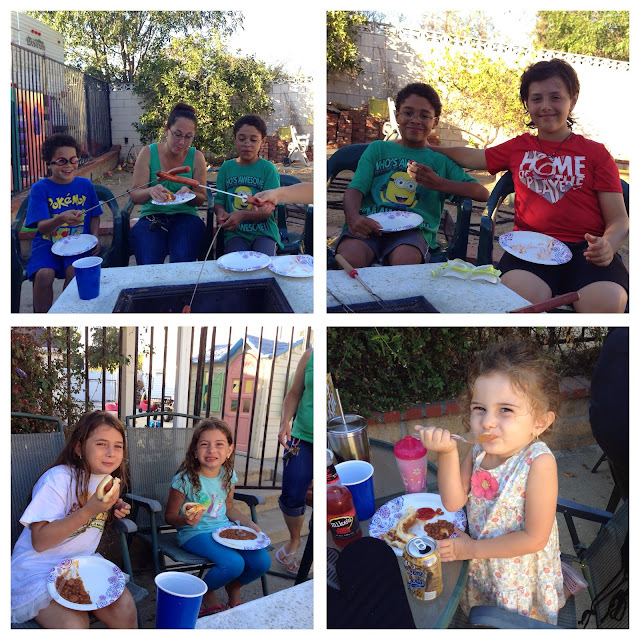 A neighborhood party... one friend and neighbor opens their home to their neighbors one Saturday a month for a pot-luck meal - it's a great time to connect, laugh and even celebrate birthdays - taking home kids that are plumb tuckered. 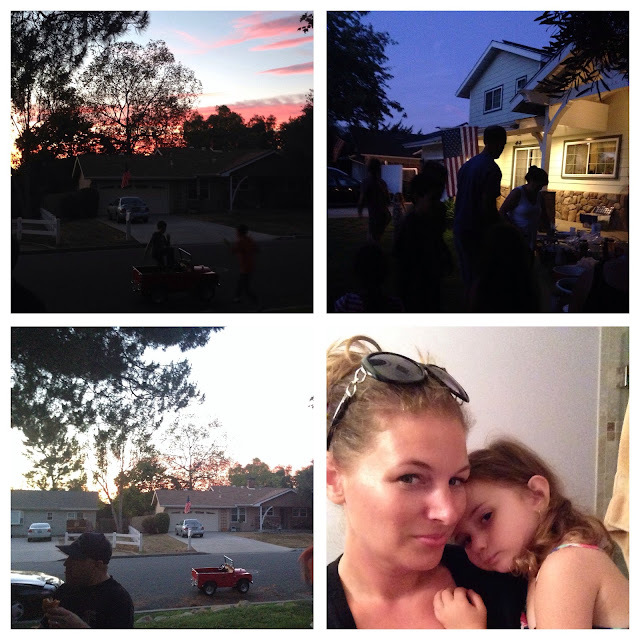 The sunset, dinner and connecting was a gift straight from God... so much fun and beauty abounds (with teens laughing, kids running about, food, friends, adult conversations, celebrating a birthday and more... we are blessed). The next day we attended church then headed off to another friend's annual pot-luck party. My kids are in bliss when they attend this one, they consider this family and extension of our own - their girls are like cousins. I'm so blessed by this friend and all of us gathering together for fun in the sun! Rounding off our summer was a bon-fire in our yard. This year we had our friend's join in the fun - hitting the pool, roasting hot-dogs, marshmallows, beans and home-made chili, and a special passed down recipe for one of the best desserts ever... sigh. A wonderful end to this fun, friend, laughter packed weekend. Not much better than time with those who you love, make you laugh, take life on as an adventure and more. I hope that your Labor Day weekend was packed with love, laughter and fun. Leave me a comment and let me know what YOU did this weekend.